Hi Alice here, this post will introduce you to the chocolate room. 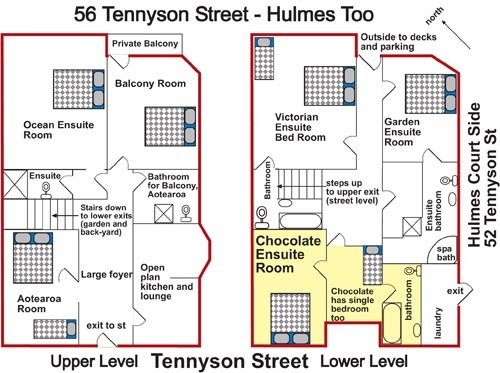 The chocolate room is in our second building (Hulmes Two) and is a lovely spacious twin room. One of the luxuries of this room is that it has a wall and door separating the queen and single beds. This allows for a bit more privacy. The chocolate room has beautiful art work on the walls and quirky ornaments. The chocolate ensuite has a spa bath and is a beautiful bright room. The chocolate room is a quiet and comfortable room sure to comfort you on your travels. 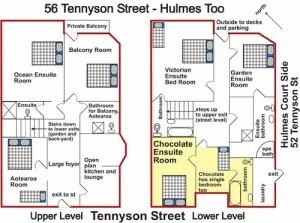 This shows the plan and location of the Chocolate Room at Hulmes Court. This Room as an ensuite bathroom. • Queen size bed and single bed. 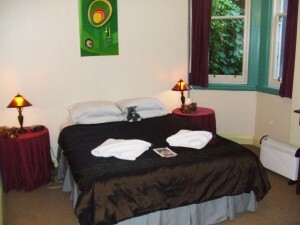 Note, the single bed is in a room on its own inbetween the main bedroom and the ensuite bathroom. • A little darker than the other rooms. • Ensuite bathroom; spa bath with shower over, toilet. 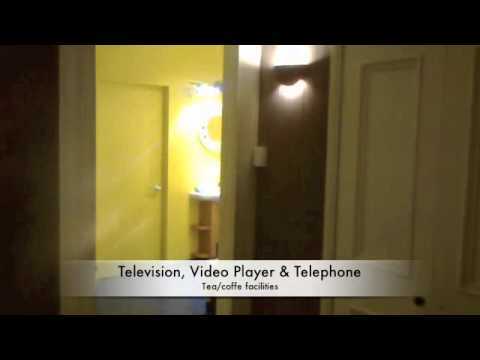 • Telephone, TV and video.